This is part II of my "top most interesting African tribes" series. First I featured the Wodaabe (Fulani) group..BELOW is the link to that thread. *guys please don't derail this one like you did the first one. The Afar (Afar: Qafár, Arabic: عفار‎, Amharic: አፋር? āfār), also known as the Danakil, are an ethnic group in the Horn of Africa. They primarily live in the Afar Region of Ethiopia and in northern Djibouti, although some also inhabit the southern point of Eritrea. Afars speak the Afar language, which is part of the Cushitic branch of the Afro-Asiatic family. Although they are predominantly found in North East Ethiopia, the Afar also make up roughly 1/3rd of the population of Djibouti. They are also found in Eritrea. Afar in Photography & Motion (I). ^^they made a mistake @ 5:40 (and i think also @ 6:20). I will explain what is in his hair later on. The Afar move their homes seasonally, living near the Awash River during the dry season and traveling to other areas during the rainy season. Afars speak the Afar language as a mother tongue. It is part of the Cushitic branch of the Afro-Asiatic language family, and is spoken by ethnic Afars in the Afar Region of Ethiopia, as well as in southern Eritrea and northern Djibouti. However, since the Afar are traditionally nomadic herders, Afar speakers may be found further afield. 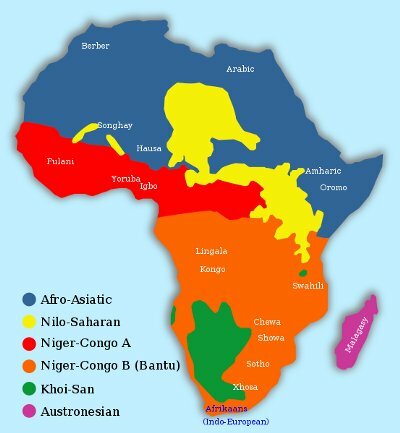 their territory is also marked in blue signifying that they are part of the Afro.Asiatic language group. Afar may be written either with the Latin script or Ge'ez. Linguists of the Institut des Langues de Djibouti, the Eritrean Ministry of Education and the Ethiopian Afar Language Studies & Enrichment Center are working to develop a standardized written version of Afar in order to facilitate alphabetization of its speakers. 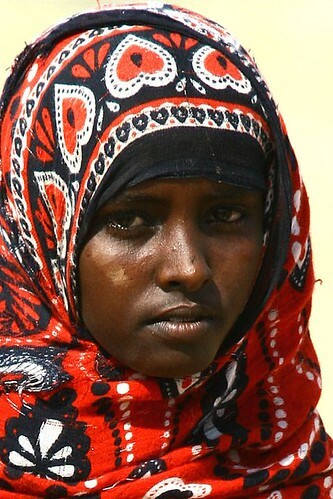 Afar people are predominantly Muslim. They have a long history of association with Islam through the various local Muslim polities. **Interesting thing to note is that not too long ago Afar women would go about bare br3asted but in recent years a more stricter version of Islam has influenced Afar way of life and as a result they now cover up either in traditional Islamic garb or by tribal influenced locally made striped t-shirts. Afar society has traditionally been organized into independent kingdoms, each ruled by its own Sultan. The earliest surviving written mention of the Afar is from the 13th century Arab writer Ibn Sa'id, who reported that they lived in the area around the port of Suakin, as far south as Mandeb, near Zeila. They are mentioned intermittently in Ethiopian records, first as helping Emperor Amda Seyon in a campaign beyond the Awash River, then over a century later when they assisted Emperor Baeda Maryam when he campaigned against their neighbors the Dobe'a. The Afar people do not eat pork and rarely drink alcohol. Those who can afford to do so, make a pilgrimage to Mecca. In addition, many pre-Islamic beliefs and customs are also prevalent among the Afar. They believe that certain trees and groves have sacred powers. They also have various religious rites such as anointing their bodies with ghee (a type of butter). Spirits of the dead are believed to be very powerful, and a "feast of the dead," called Rabena, is celebrated each year. They also give annual offerings to the sea to ensure safety for their villages. Many people wear protective leather amulets that contain herbs and verses from the Koran. Ive never heard of the Afar tribe. That Afar warrior is a cutie. Lol. . . The London-Michael-killer-boy? The Afar are part of the Cushitic family. This classification pertains to both a language group and the sharing of a common ancestral background. Cushitic peoples are primarily found in the horn of Africa, central and North Africa. cool!! i'll have more up later on sis. yeah they are good looking. do they sharpen their teeth? PAPA AFRICA: do they sharpen their teeth?